If you’re going to jump out of a plane, surf some big waves or fly down a mountain on the back of a bike; I’d hazard a guess that you’ll be doing it while strapped to a GoPro 7 Videos That Will Make You Want a GoPro Camera [Stuff to Watch] 7 Videos That Will Make You Want a GoPro Camera [Stuff to Watch] Clever marketing goes beyond memorable advertising when it demonstrates exactly what you are missing out on by not owning a product. I'm not usually a sucker for advertising, preferring instead to make my own mind... Read More . The company has built a name for themselves by producing hard-wearing, high quality action cameras, while simultaneously saturating any and all “extreme sports” events in sponsorship and advertising. Now the Red Bull of tech is back with its latest innovation: the GoPro HERO4 Session, which packs the power of GoPro into resilient and unbelievably petite package, for $200. GoPro regularly refreshes its HERO line of action cameras, and not long ago introduced several different “tiers” — including Black and Silver editions. The Session is another model in the HERO4 line up, but its unique selling point is arguably all about size. Measuring only 3.5 x 3.5 x 3.5 cm, the Session is the smallest, lightest and according to GoPro “most convenient” camera the company has ever made. Marketing spiel aside, that’s a pretty accurate description — it’s a tiny cube of wide-angle fun, capable of shooting footage worthy of the name the GoPro has built for itself over the years. Despite taking the energy drink approach to marketing in recent years, it’s important to recognise that GoPro has built up a legion of dedicated fans for a reason. The company repeatedly pushes the bar in terms of what to expect from wide-angle action cameras, a product that at first seemed niche and purpose-built that’s slowly found favour among the masses Buying a GoPro or Action Camera: 7 Useful Things You Need To Know Buying a GoPro or Action Camera: 7 Useful Things You Need To Know If you're into skiing, cycling or surfing, then an action camera is the perfect way to record your adventures. Read More . In the box you’ll find the GoPro unit and charging cable, some “frames” for mounting and a couple of 3M adhesive strips. The company included a “low profile” frame, for discreet mounting in places other GoPro cameras cannot go, a standard frame that’s compatible with all of GoPro’s other aftermarket mounts and a ball join buckle, which allows you to (for the first time) adjust your GoPro’s mounting position without unscrewing and re-mounting every time. The HERO4 Session is roughly half the size and weight of the GoPro cameras that came before it, has no removable battery and is compatible with Micro SDHC cards up to 64GB. The lack of removable battery may be a concern for some, but it’s a trade-off that’s allowed GoPro to push the size and form factor to the limit — and one I’m personally quite glad they made. The camera weighs just 74g (2.6 oz) in its naked state, when not mounted in a frame. The slightly rubbery-yet-solid design looks great, and serves its purpose well — this is one GoPro unit that does not provide additional heft by requiring a waterproof case in usage. You don’t even get a case, as the frames themselves are completely open at the sides. The camera only has two buttons — a record button on the “top” of the unit, and a small button on the back which is used for turning Wi-Fi on and off to enable full control from a smartphone. The main record button can be used to take photos (by tapping it three times) or to start recording in your currently-selected format. There’s basically no learning curve thanks to the simple one-touch operation that’s perfectly tailored to the device’s purpose as an action camera. Various settings can be changed using a smartphone, which will become the primary way you interact with the camera (more on this later). Despite bundling a few frames with the Session, I was pretty disappointed at the lack of attachments included overall. After spending $200 on a camera, I didn’t expect to have to spend more on a simple bicycle attachment, chest harness or car mount. Salt was liberally applied to my wounds when I realised that most of these accessories retail for $40-$90 (Australian) where I live. One saving grace is that the official GoPro mounts are hardy and feel like they can take a beating, which is in stark contrast to the cheap-o SooCoo camera I reviewed earlier this year SooCoo S60 Action Camera Review & Giveaway SooCoo S60 Action Camera Review & Giveaway We're looking at the SooCoo S60, a high definition waterproof action camera that costs a quarter of the price of a GoPro and comes with a selection of mounting points and a remote trigger. Read More . You can of course buy (or make) unofficial attachments if you want, but your primary concern in this department should be quality if you don’t want to lose your camera. Everything from mounting to the one-click operation of the Session (and many of GoPro’s cameras) is easy — which makes the GoPro ideal for users who are concerned only about recording great video, rather than the technical aspects of video capture. Despite what YouTube may have taught you, GoPro cameras aren’t just for extreme sports types 6 Ways To Use GoPro Cameras That Don't Involve Extreme Sports 6 Ways To Use GoPro Cameras That Don't Involve Extreme Sports GoPro cameras can be used in plenty of ways other than shooting extreme sports, six of which we'll be exploring in this article. Read More . Over the years these cameras have found favour with tourists, commuters, film-makers and just about anyone who appreciates the simple, “film anywhere” nature of the company’s devices. The convenience of having a high-quality camera that shoots ultra-wide angles in your pocket isn’t to be understated. Sure, most of us can use our smartphones to capture quick videos; but personally I find myself shooting a lot more video (and dedicating the required storage space and battery life required) when I’m using a dedicated device. For many, the Session is a device that reveals the videographer within. You can’t see what you’re recording — the Session has no screen, though remote preview is possible via smartphone connection — and this awakens a “wait and see” attitude that feels a bit like shooting a roll of film. To snap-back to the Session’s primary purpose for a second, those of you who love wingsuits and testing your caffeine tolerance will absolutely love the form factor on offer here. The low-profile frame enables mounting in extremely tight spots, and the camera has no “right way” up — you can mount it sideways on your helmet, or upside down on your handlebars, and the Session will adjust the orientation to suit. Smartphone intergration is excellent, and the ability to download your footage directly to your mobile device is not to be snubbed. 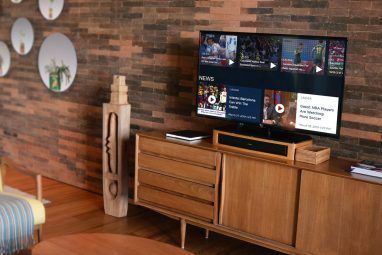 Battery drain is the primary concern when operating over Wi-Fi, so it’s best to use this connectivity sparingly — either to change settings quickly, or preview a shot. We’d probably be complaining if app connectivity wasn’t included at this point, but credit where credit is due: GoPro has put time, money and effort into producing an excellent companion app that works relatively seamlessly once set up. One aspect of using a smartphone as your primary method of controlling the Session is that it adds additional battery power requirements — you can’t preview, or share a video if you’ve thrashed your phone battery, as an example. Similarly, as the Session has no removable battery you can’t head out for a few days with a few spare cells — you’ll have to plan ahead or bring an external USB charger with you instead. The image quality captured by such a small device is impressive to say the least, with the Session managing surprisingly good dynamic range Want That Cinema Look? How Dynamic Range Affects Video Want That Cinema Look? How Dynamic Range Affects Video What makes video shot on expensive cinema cameras so much better than what you can capture with an iPhone? Read More when faced with mixed lighting conditions. Subtle blooming when moving between areas of low and plentiful light is easy on the eye, and though changes in exposure are still noticeable, it’s a world away from the jerky mess of smartphones and early digicams. This is one of the main reasons the GoPro has found favour among professionals, and it’s a relief to see the move to a smaller form factor hasn’t had an overly detrimental effect on image quality. Unfortunately, low lighting conditions is the achilles heel — there’s plenty of grain present, and at times image quality can become a bit muddy and compressed-looking. That’s where Protune video comes in. Protune is GoPro’s minimally-compressed video format that delivers cinema-style 24p footage with very neutral color contrast — perfect for professional users who want to squeeze as much dynamic range from their footage as possible. The footage will look washed-out and slightly blurry until processed with the company’s GoPro Studio software (or other professional-grade color correction tools), and converted into a format you can use in your video productions. It’s ideal if you’re working with a specific color profile, and want that filmic look to match the rest of your footage shot on DSLRs like the Canon 5D Mk III or cinema cameras like RED’s Epic. This is probably only of interest to professional users, thanks to the extended workflow. That said, it’s always nice to have such a mode available. If you learned to shoot RAW after buying your DSLR, Protune may appeal to you as a format you can “grow into” as your creative skills develop. Shooting videos in Protune mode removes control over video resolution, frame rate, field of view, and the ability to shoot simultaneous photo and video. Resulting file sizes are also larger than standard video, a result of minimal compression. If you’re serious about this mode, you’ll probably want to invest in at least 32GB or 64GB storage. Two vastly improved waterproof microphones mean that the Sound from your session no longer sounds like an MP3 file circa 1997. The camera will favour one microphone depending on the conditions present, and in my limited tests this worked pretty well. The Session is delivers everything your average GoPro fanatic could want from a compact version of the world’s most recognisable action camera, including professional settings, full smartphone control, and waterproofing that doesn’t rely on external housing. 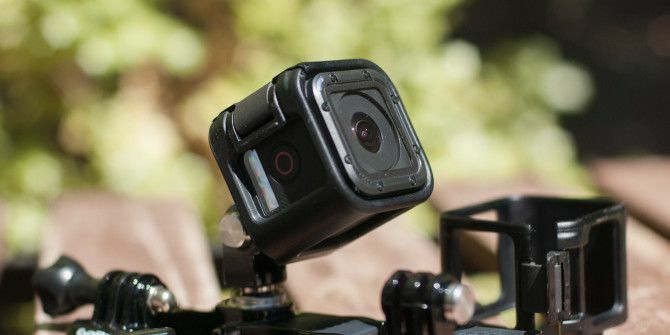 You might find the camera’s lack of a removable battery a little limiting, and more attachments in the box would have been nice — but ultimately if you’re looking for a super compact GoPro, the Session will bring a smile to your face with its compact size, excellent video quality, and vastly improved sound. Explore more about: Filmmaking, GoPro, MakeUseOf Giveaway, Sports. shipping. "Cheap philadelphia 76ers jerseys has come as described on the photo, fast delivery also. when you gonna announce the winner? Time did an excellent review. I would defiantly buy one if I had the money just based on his review. This would be so much fun, I've been dreaming of this for a long time, Thanks for the chance to win this great gift! Merry Christmas! Kudos to GoPro for making an affordable "entry" GoPro; can't wait to win this :). Does anyone know if the app for this will work on an Android tablet vs. smartphone? Looks Awesome!! and lots of fun to use. Hope I win it!! Thank you for the great prize opportunity!! HAppy Holidays to all ! Been wanting one for a while now. Facebook window does not open up for "Refer Friends." Maybe it's just Chrome, but I thought I'd mention it. And thanks for the giveaway! Great review! Hope can get to use it!! My partner would love to own this.